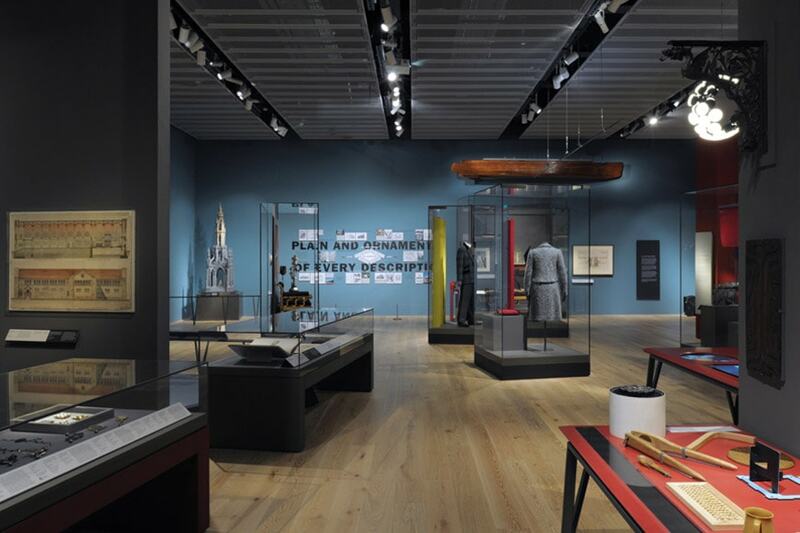 At the heart of the new museum are the Scottish Design Galleries, designed by London-based design practice, ZMMA. 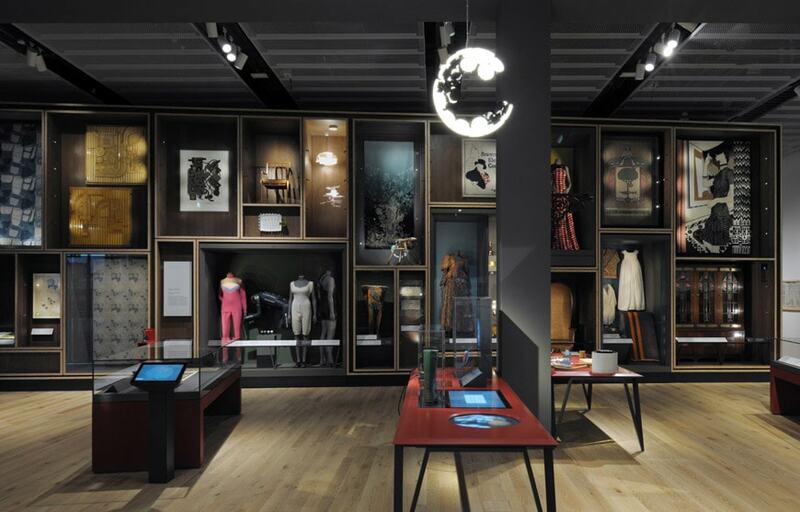 The Galleries are the first in the world dedicated to telling the extraordinary story of Scottish design. Through 300 objects – spanning more than 500 years and ranging from architecture to fashion, healthcare to furniture, and engineering to video-game design – the Scottish Design Galleries present the richness of Scottish design, historically and today. 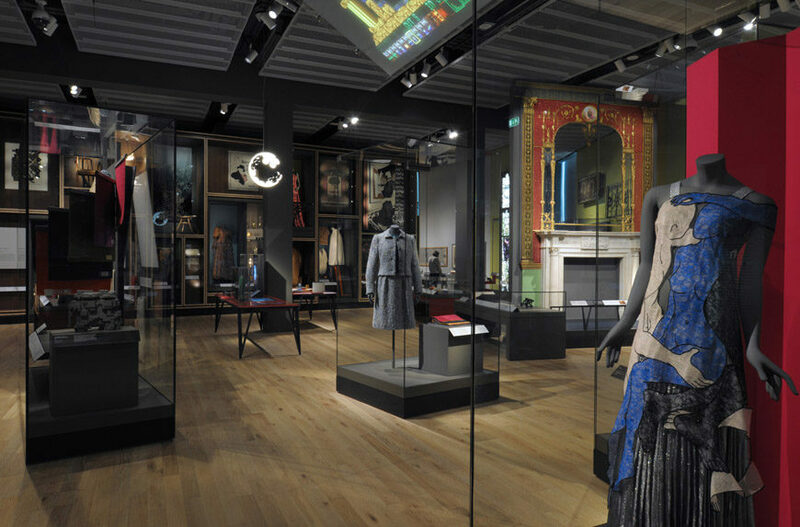 The majority of objects on display are drawn from the V&A’s collections of art, design, and performance brought together with loans from other museums, private collections, designers and companies across Scotland and the world. 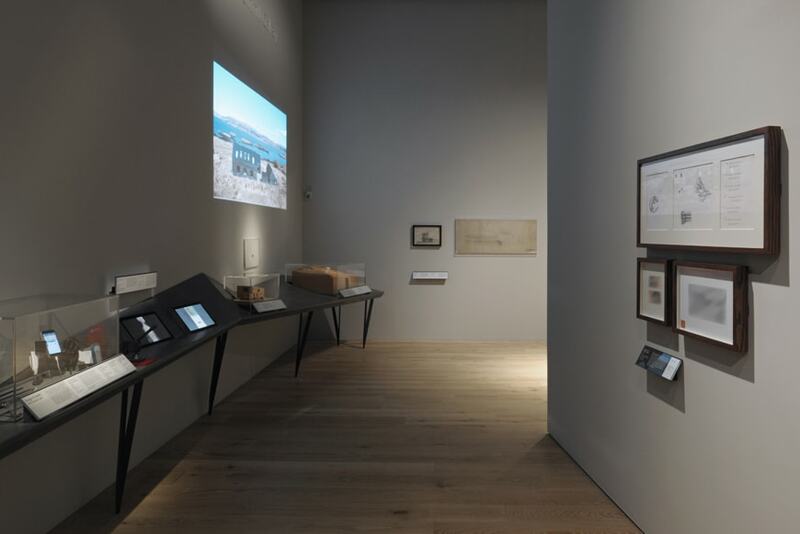 Located on the upper floor of the new three-story building, the Scottish Galleries occupy 550 square meters / 5,900 square feet and are divided into three sections that contextualize the collections on display. The first section of the galleries explores why and where particular design industries in Scotland are developed, setting the history of Scottish design in an international context. The intense colors of the setting are the backdrop to objects such as the dress by Lover’s Lace by Christopher Kane, and part of the Glass Drawing Room from Northumberland House by Robert Adam. The second section of the Scottish Design Galleries explores the ways that design can improve lives. 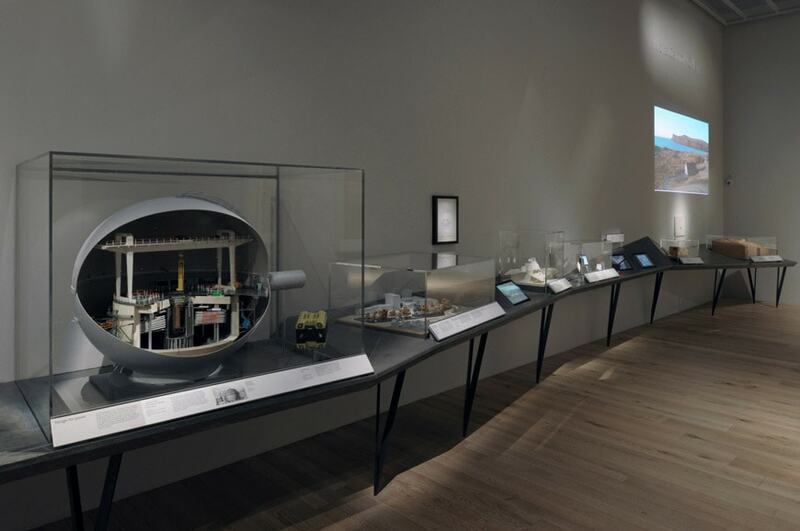 Here, objects relating to design in housing and town planning, healthcare, power generation, and engineering are embedded in a long, undulating cast landscape surface. 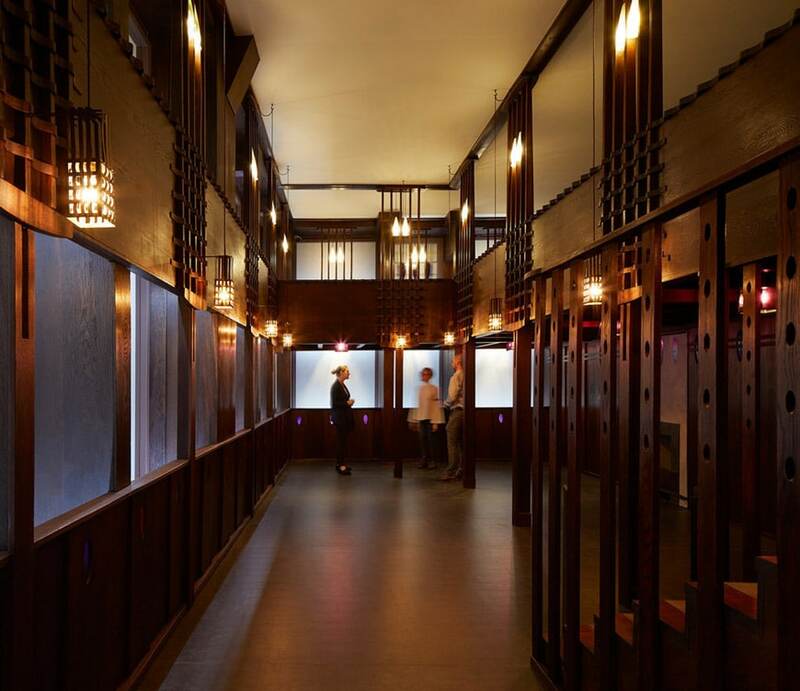 A highlight of the Scottish Design Galleries is Charles Rennie Mackintosh’s 1908 Oak Room, a long-term loan from the collections of Glasgow City Council. Visitors are able to enter and linger in the warm-hued, dark oak-paneled interior, unseen for 50 years, and now restored and reconstructed in the galleries. Award-winning architects and exhibition designers ZMMA, in collaboration with Arup, have helped restore the original lighting scheme and given a subtle glow to the window openings which would have once looked onto Glasgow’s streets and placed the historic room at the heart of the Scottish Design Galleries. The third and final section takes visitors on an inspirational journey through the realm of the imagination, with the design for gaming, performance, and entertainment. 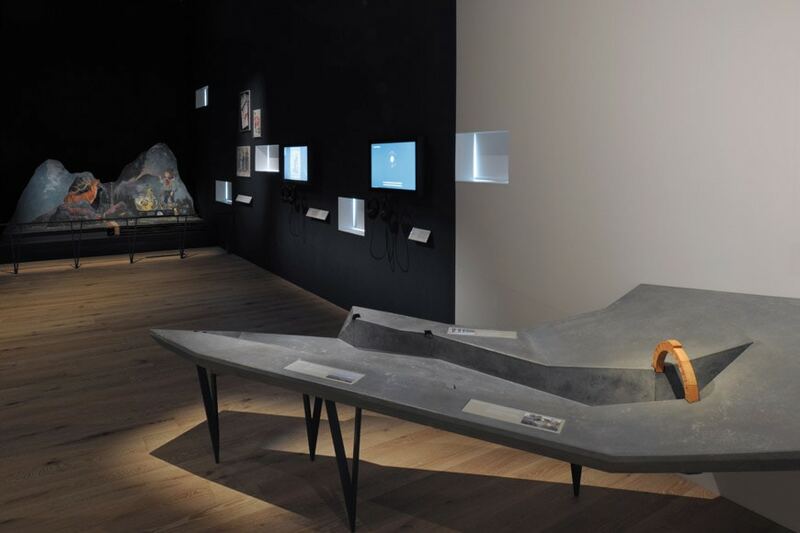 Above: V&A Dundee Scottish Design Galleries, exhibition design ZMMA, photos © David Grandorge, courtesy of ZMMA.